iClearIt, LLC was formed in 2014 by Lion Goodman and Stan Karp for the purpose of empowering individuals with the skill of clearing whatever stands in the way of expressing their true magnificence in the world. iClearIt is a process for removing any uncomfortable experience you don’t want to be experiencing. You can quickly transform unpleasant feelings, recurring negative thoughts, unresolved problems, persistent conditions, or physical pains. It’s based on this simple truth: Every unwanted experience leaves a trace in the body. It can be identified by its specific, unique set of body sensations. Here’s the magic: We usually deny, suppress, or resist unpleasant sensations. But when you focus your attention on them instead, and listen carefully to the message they’re sending, they will change, lighten up, or disappear completely. You’ll notice immediate relief when they go away. Or, if they change, by focusing more attention on how they’re showing up now, they will again change, lighten up, or disappear. Continue this pattern of focused attention, and you can disappear almost anything. You’ll feel relief, peace, and new possibilities will be opened. You can clear things that have been bugging you for weeks, or years. If you feel stuck, like you can’t move forward, use iClearIt to clear what’s keeping you stuck. If you have persistent pains or conditions, use the process. We’ve had many reports of long-standing problems just… disappearing. And it only takes about 20 minutes to go through the process. This is an established therapeutic technique, with thousands of people and more than a decade of investigation and research proving its effectiveness. Now this unique process, usually guided by a coach or therapist, is available to you 24/7 – right inside your iPhone or iPad. Our video coach will guide you, step-by-step. Use it anytime, and anyplace (except do NOT use it while driving, or when you need your attention for other tasks). The first use of this app is free. Try it and send us your feedback. If you like how it works, please share it with others. Download it now, for the iPhone or iPad. And start clearing your path – so you can express your full magnificence in the world. Lion Goodman, co-founder of iClearIt, is the CEO of Luminary Leadership Institute, an accelerated initiatory program for leaders of businesses and organizations. 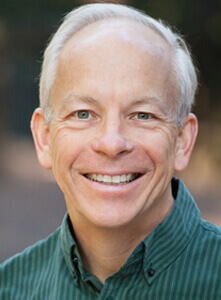 He is the creator of Clear Your Beliefs, a proprietary methodology for shifting beliefs at the core of the psyche, which he has taught to hundreds of coaches and therapists around the world. Lion is the author of three books: Clear Your Beliefs, Creating On Purpose (with Anodea Judith), and Menlightenment: A Book for Awakening Men. Stan Karp, co-founder of iClearIt, is a 31-year veteran of Apple Inc., where he led technical teams to develop software for various internal departments. 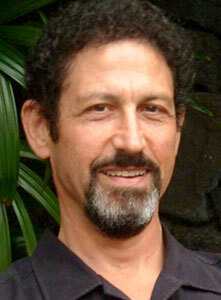 He is a Certified Clear Your Beliefs Practitioner and professional executive coach. He is a mentor of high school students at BUILD using entrepreneurship to excite and propel students to college success. Sherri Pula is Director of Training for the Clear Your Beliefs Practitioner Training. 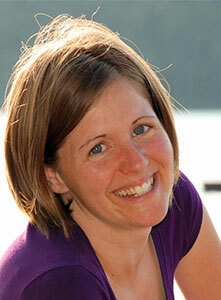 She is a professional life and transformation coach who practices on the East Coast of Canada.